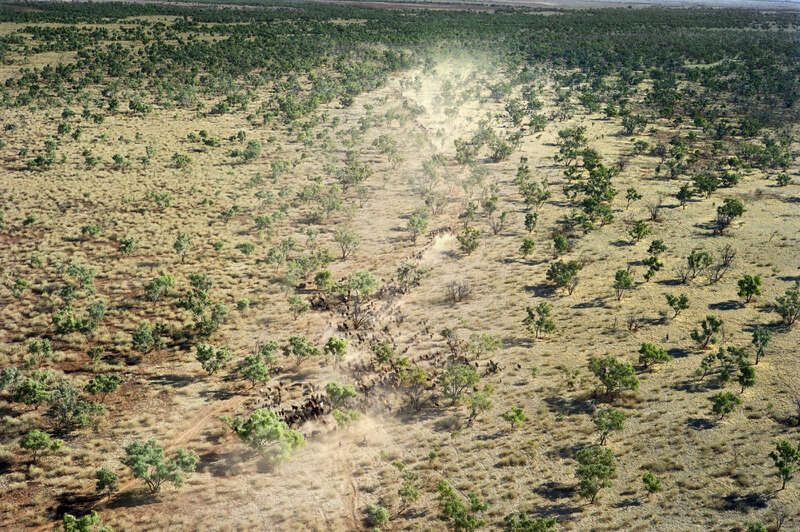 Aboard the helicopter, the pilot spots cattle running through the dry bed of the Finke river. Once the animals have been found, he radios the rest of the team who are travelling by motorbike or by car. They will then take over to herd the animals along the tracks to- wards the penning area. 2011, Northern Territory, Australia.